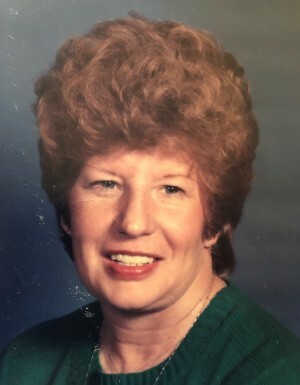 Wanda Jean Ashe Carter, 73, of Sylva went home to be with her Lord on Saturday, April 06, 2019. A native of Jackson, she was the daughter of the late Eldon and Daisy Mull Ashe. Jean was the pianist and a faithful member of Mt. Zion Baptist Church in Dillsboro, NC. She sang and played the piano for the Faith Trio, and the Glory Bound Quartet. Jean is survived by her husband of fifty five years, Robert Carter, a daughter, Melissa (Robert) Medlin of Tuckasegee; two grandchildern, Nathan ( Amanda) Medlin, of Tazewell, TN and Taylor Medlin of Tuckasegee; great-grandchildren, Owen, Davis, Eli and Layla Medlin; two sisters, Claire Dills of Bryson City, Ruby Bennett of Cullowhee; two brothers, Eddie and Kenneth Ashe of Cullowhee. Funeral services will be held on Tuesday April 9, 2019 at 2:00 pm at Mt. Zion Baptist Church with Reverends Tommy Ashe and Steve Webb officiating. Burial will follow at Fairview Memorial Gardens. The family will receive friends from 12 noon until 2:00 pm at the church. Western Carolina Funeral and Cremation Service is assisting the family.